New Delhi, Government would have to bear burden of Rs. 10000 crore rupees in case deaness allowance of central government employees is merged and till the implementation of seventh pay commission report government will neither give interim relief nor merge dearness allowance in basic pay for central government employees. 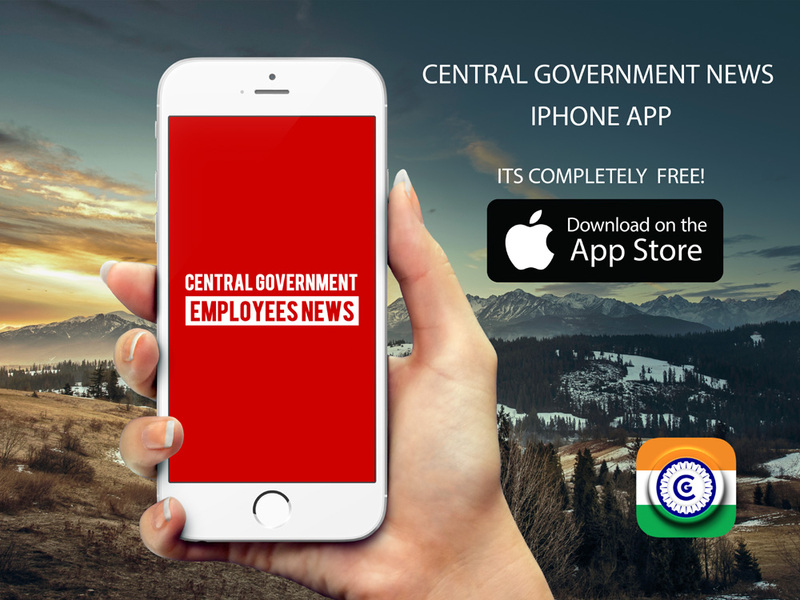 Central government has flatly refused to give two thousand interim relief to 34 lakhs of its employees. Chairman of seventh pay commission Justice Ashok Kumar Mathur has refused to oblige on this issue. He further reiterated that provision of giving interim or merger of dearness allowance hasn’t been there in the terms of reference for seventh pay commission. Pay commission has asked representatives of employee union to move to dopt or Ministry for Finance for interim or da merger. Representatives of Joint Consultative Machinery then met the oflicials of DOPT and Ministry of Finance on the issue, but both department refused to give any assurance on these issues, rather assured JCM members that pay commission report will be implemented on time. But employees’ unions are not impressed; JCM says that no pay commission has ever presented its report before two years. Employees’ unions are also raising the demand to resolve the anomalies of sixth pay commission which are still lying pending. JCM members also demanded that interim relief may be taken into account in the report of seventh pay commission; this has also been out rightly rejected by government. JCM had requested to merger dearness allowance with effect from lst January 2014. Total expenditure on interim relief and merger of dear allowance will respectively be Rs. 800 crore and ten thousand crore. On the other hand pay commission is doing its work on the daily routine basis. Pay commission has recently visited Kolkatta and Andaman Nicobar islands on Jan 11 14 respectively. Now the pay commission has decided to have evidence meeting with JCM staff side in February. Till date central government has notified six pay commissions before notifying seventh in February 2014. First central pay commission was notified in 1946, Second CPC in 1957, Third CPC in 1970, Fourth CPC in 1983, Fifth in 1994 and sixth in 2006. Ahead of his first full fledged budget, the Finance Minister Arun Jaitley today said that the NDA government was against raising revenue by imposing higher taxes, instead it would want to leave more money in the hands of consumer to fuel demand and growth. The minister also pledged to make the budgetary process more transparent so as to present the real picture of public finances before the people. “High taxation is not the only route to achieve the target of larger revenue we are not going to take this route,” Jaitley said while speaking at a fianction of private news channel CNBC Awaaz. He was replying to a question whether it was possible to increase the income tax payer base from from 3.5 crore to 15 crore. “We believe that the consumer should have money in hand and by spending that money, production will increase and the country will be benefited,” the minister said. The government raised income tax exemption limit from Rs. 2 lakh to Rs. 2.5 lakh in the last budget, he said.